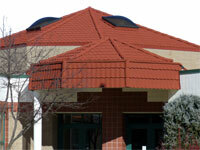 Commercial Roofing, Inc. has been serving the roofing needs of Wisconsin businesses for well over 32 years. With over 75 years of combined roofing experience from our upper level management staff, Commercial Roofing has the capabilities to provide you with the most dynamic services, including project specification, preventative maintenance as well as installation and repairs. As a Carlisle authorized applicator, we have consistantly demonstrated our knowledge and experience with a full line of Carlisle roofing systems and products. To become a Carlisle authorized applicator a company must undergo training conducted by Carlisle. The training covers roofing system installations and maintenance. After completing the initial training program, authorized applicators also take part in a continuing education program to ensure they understand the latest technology and procedures from Carlisle.